Whatever you think of Sea Shepherd’s Paul Watson, and Sea Shepherd’s confrontational anti-whaling strategy, you have to consider this: in an international whale management regime that seems custom-designed for gridlock and delay, Sea Shepherd is taking action. Call it uncivil disobedience, and maybe that is an idea whose time has come. Increasingly, domestic politics and international diplomacy work at a pace that is insufficient to match the rapid pace of environmental change and destruction occurring around the globe. So we can rely entirely on the usual channels for resolving problems, and feel good about that, but watch whales die, seas rise, forests disappear, and extinction rates accelerate. Or we can continue with those channels but at the same time take more direct action to shock and galvanize the system to respond more quickly. Currently docked in Marina del Rey, California on its very first trip to the mainland U.S., the fast scout vessel, the SSS Brigitte Bardot, will depart on November 11 and quickly meet up with the rest of the Sea Shepherd fleet. 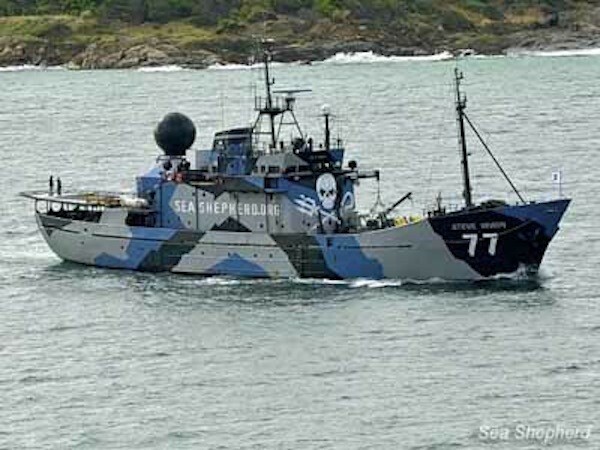 Hammarstedt also went on to say “it is expected Sea Shepherd Founder and President Captain Paul Watson will appear in command of one of the vessels when the action begins.” Captain Watson has been in an undisclosed location since July 22 when he forfeited his bail and departed house arrest in Germany to avoid being extradited on bogus charges to Costa Rica and Japan. I’m excited that dedicated animal rights defender Sam Simon will have a ship out there, and I’m sure it will get into some crazy trouble. But lest you are tempted to dismiss the Sea Shepherd campaign as trivial or a sideshow, please note the fact that Sea Shepherd has likely saved the lives of thousands of whales (they claim more than 3,600). If you don’t think that really matters, then watch the death of just a single whale (dramatized as it is for Whale Wars). It will make you want to sign on as Sea Shepherd crew. Great article Tim. Until the laws that fail to protect marine life are changed, activism is all animal lovers have in this fight. With so much mutual scratching of backs and corruption involved, marine animals are failed again and again. If legally, countries don’t like an activist approach, then they need to look in the mirror and learn why these conservation groups do what they do and why they exist in the first place.